It was only a week ago when Apple released the final iOS 11 software update to the general public. And now, the company has released the first beta of iOS 11.1 – an upcoming update, to the developers. Update: You can now download iOS 11.1 download for iPhone, iPad, and iPod Touch. Also, check out iOS 11.1 features. Apple has also released the second beta of iOS 11.2. Apple has released the iOS 11.1 beta 1 to the registered iOS developers. The release comes just a day after the release of iOS 11.0.1, a minor software update for iPhone, iPad, and iPod Touch devices. 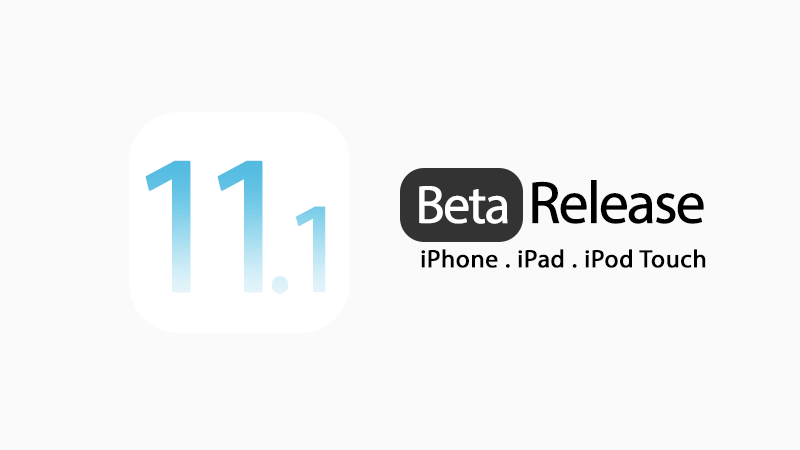 Just like any previous beta release, the registered developers can grab the beta version of iOS 11.1 from Apple’s dedicated developer’s website. The developers need to have properly configured a beta testing profile on their test unit. After that, they can easily install iOS 11.1 beta 1 as an Over-the-Air (OTA) update by going to Settings > General > Software Update. Also, check out our detailed guide on how to install iOS 11.1 beta. The early findings show that Apple iOS 11.1 beta 1 includes new icons for AssistiveTouch and iBooks tab bar, updated animation for unlocking, camera opening from Lock Screen and when going to the top of the page in Safari by tapping the status bar. First beta of iOS 11.1 has more suggestions for emoji and AssistiveTouch feels like a real button in combination with 3D Touch. The bets version also include some other minor tweaks to the iOS. For now, only the developer beta is available and the company will surely push a public see of iOS 11.1 beta as well in the coming days. We’ll let you know as soon as iOS 11.1 public beta is available along with instructions to install it. If you’ve already installed iOS 11.1 and came across something new, let us know in the comments section below.